Two “innovative initiatives” involving the Faculty of Advocates and aimed at a more diverse and representative legal profession have been endorsed by Justice Secretary Humza Yousaf. 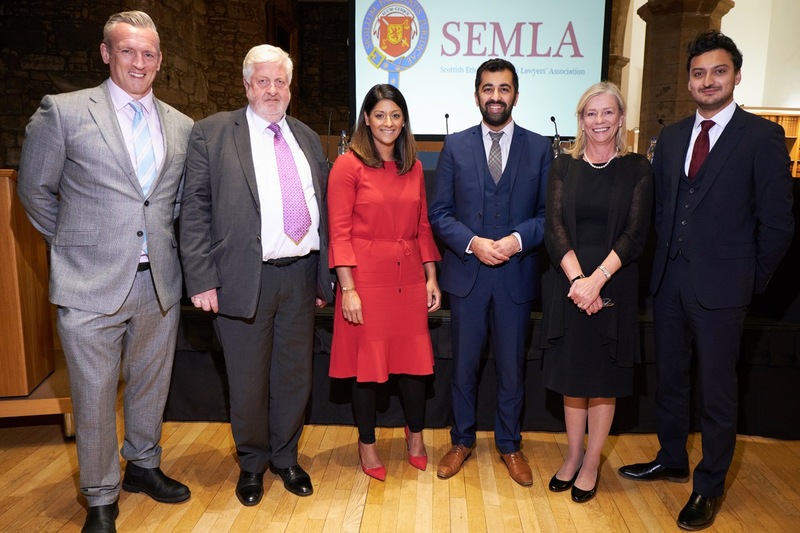 Mr Yousaf was the keynote speaker at an event to celebrate the first anniversary of the Scottish Ethnic Minorities Lawyers Association (SEMLA) and the official launch of the Faculty’s Lord Hope of Craighead Scholarship. SEMLA was established last year with the support of the Faculty and the Law Society of Scotland. The scholarship, named after one of the Faculty’s most celebrated figures, is funded by a voluntary levy on the earnings of practising members of Faculty. Aimed primarily at assisting devils - trainee advocates - during their nine-month training period, it also helps people into the wider legal profession. Mr Yousaf said: “These two innovative initiatives aim to help the profession become more reflective of the clients and communities it serves by increasing the representation of ethnic minority lawyers across Scotland’s legal sector, and improving accessibility to the Bar for those who might otherwise be dissuaded due to the costs of pursuing that path. The Faculty’s Treasurer Roddy Dunlop QC, a driving force behind the scholarship, revealed that the first batch of awards had been made. Whereas two or three scholarships were awarded in previous years, with the addition of the new scheme, the number for October 2019 was 11. “The vast majority will be going to candidates who are female, or state educated or from ethnic minority backgrounds,” said Mr Dunlop. 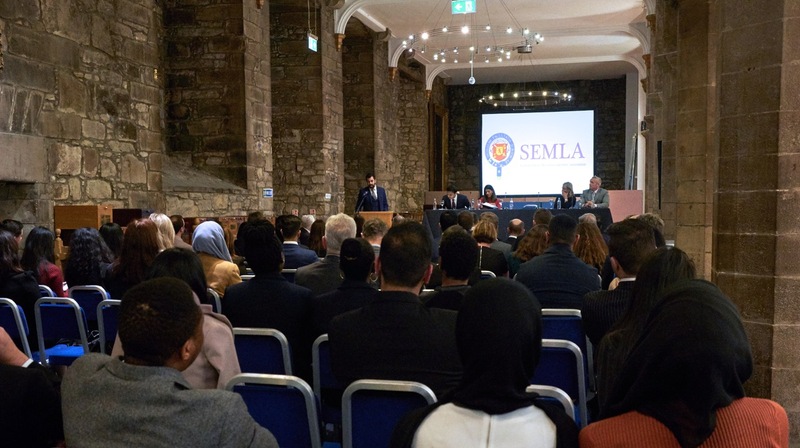 The audience in the Laigh Hall also heard from Usman Tariq, advocate, founder of SEMLA, who said its aim of increasing the representation of ethnic minority lawyers would be achieved by collaborating with the profession to “open doors”. Further talks were given by Naeema Sajid, a founding member of SEMLA, and Christine McLintock, chair of the Lawscot Foundation, a charity set up by the Law Society of Scotland to help academically talented students from less advantaged backgrounds through their legal education. It has already benefited from a donation from the Lord Hope Scholarship. Ms Sajid said there had been no role models when she qualified, but that was now changing, and awareness of SEMLA in its first year had grown at “an alarming pace”. Ms McLintock said that reading applications received by the Lawscot Foundation, and seeing the challenges faced and overcome by people and their determination to become lawyers, was “very humbling”.